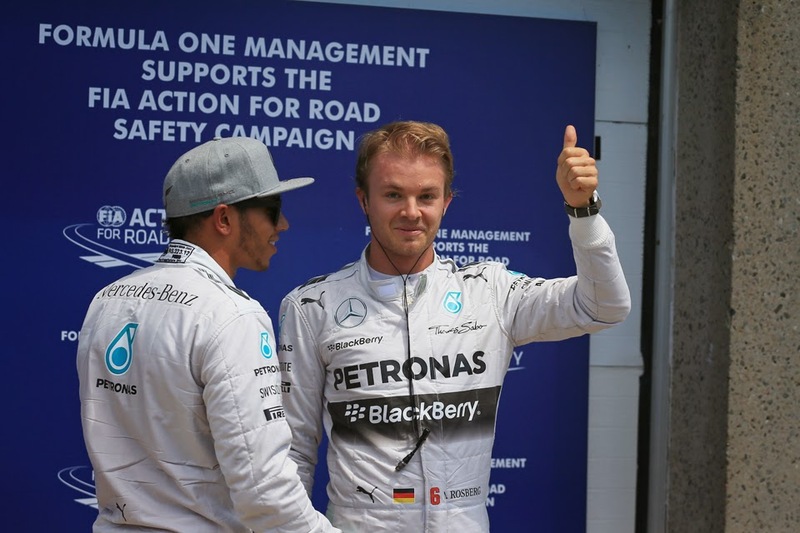 Whisper it, but are we lately witnessing the renaissance of Nico Rosberg? Just a few weeks ago such a happening seemed rather unlikely; then his stable mate Lewis Hamilton had his foot planted firmly on the throat of the situation, whether it be in the intra-Mercedes fight or in the probable ultimate destination of 2014 title honours. But over the last three Grand Prix weekends this has changed. It happened gradually at first, with in Spain Nico giving Lewis a fright with his late charge for victory that Lewis only just managed to repel. Monaco a fortnight ago we know about, and whatever might have happened there and their rights and wrongs if nothing else Nico displayed a steel and stoicism that perhaps a few of us doubted that he possessed (in this ilk, notice that no one calls him 'Britney' anymore?). 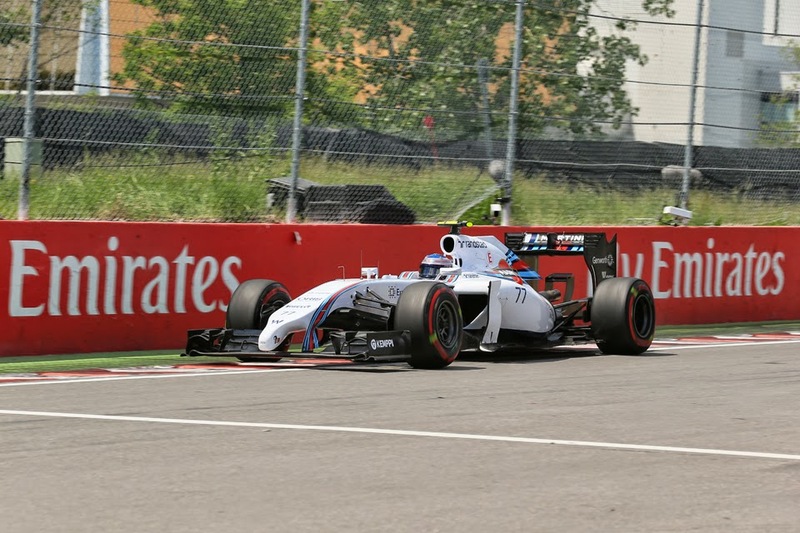 And the trend continued in Canada's qualifying session today at Montreal. Just like in Monaco Nico - having been shy for the most part - pipped his team mate in the first run of Q3 and then kept ahead for pole position. Unlike in Monaco there was not a single doubt over its veracity. No one can deny this one was fair and square. There was no funny business real or imagined in the final efforts - Nico improved his time and Lewis, having lost some ground in the middle sector, came up short by 0.079 seconds. Once again the difference was tiny, but massive. Perhaps it all too is even more satisfying than that for Nico - this was very much an away win for him. Montreal is Lewis country; he's supposed to be unbeatable here. And, in qualifying at least, Nico beat him. 'I know that it's a track he's (Lewis) very strong at, so all the more I'm very happy that it worked out' said a beaming Nico afterwards. Later he added: 'It wasn't a great lap to be honest, and I really should have got the banker lap in before, a bit like in Monaco...I know I had good pace here, I just didn't do it'. It indeed all sets us up beautifully for tomorrow, perhaps even more tantalising than a Lewis pole. You suspect that just like in qualifying the margins determining who wins out in the race will be minute, and perhaps the qualifying advantage, with as we witnessed in Monaco a possible subsequent strategy advantage, may turn out to be what tilts the balance. Not that Lewis will be giving up that easily however. And a critical difference from Monaco is that Montreal is at the opposite end of the spectrum when it comes to overtaking possibilities. 'Wait for the race tomorrow, they're going to fight all the way to the end' said an onlooking Niki Lauda. Lewis also when asked if there would be a close battle between the two silver cars replied with a glint: 'I would assume so, yeah'. There are some doubts over race strategy throughout the field too. 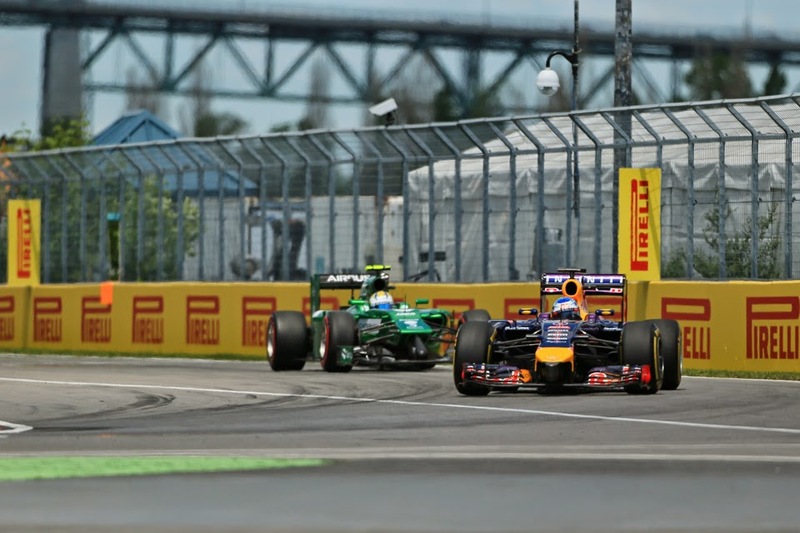 Most had assumed that a one-stopper as usual in Montreal would be the way to go - starting on the supersofts then running to the end on the more durable softs - but some are speculating post-qualifying that an additional stop and stint on the supersofts may be better. And the rising temperature throughout the weekend, with them expected to be higher still for tomorrow, have complicated matters. Plenty have talked of the importance of managing the rubber. As usual there was clear silver water between the Mercs and the rest; this time it amounted to half a second. Then tightly packed were the Red Bulls and Williams, and less than half a tenth covered their best final marks. And it was a certain Sebastian Vettel who squeaked out at the front of them all to start in P3. He's looked a bit happier out on track this weekend, and he'll be another who'll welcome talk of timely renaissances. The Williams are next up - making good on their Mercedes grunt down the Montreal track's straights - with Valtteri Bottas ahead in P4, despite Felipe Massa having spent much of the proceedings looking like he was finally going to end his run of never having outqualified a team mate at this venue. 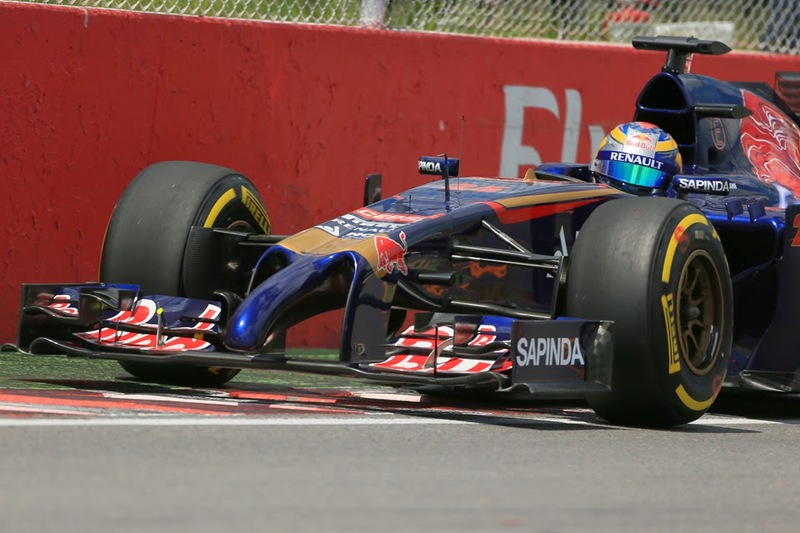 Both he and Daniel Ricciardo in P6 were left ruing that they ended up towards the back of the final shakeout. Only then do we have a Ferrari, Fernando Alonso's formidable best only good enough for P7. The Ferrari's pace seemed to gradually recede as the weekend went on, though as Nando pointed out afterwards that's hardly a new phenomenon. That the team didn't run its new floor, apparently not wanting to risk it in the high ambient temperatures, may have been part of the story too. Kimi Raikkonen meanwhile was even further back in P10. But the bulk of the attention will remain out front with the latest installment of the Mercedes vs. Mercedes drama series. Despite it being close in the points table, up until a couple of weeks ago it was difficult to find too many willing to bet against Lewis Hamilton prevailing for the 2014 World Drivers' Championship. Even now he remains the favourite, but somehow as things stand the matter doesn't seem nearly as cut and dried.